Did you know that for every $1 a man earns, a woman makes only 77 cents in comparable jobs, and women of color make even less? Did you also know that 1 in 5 women will be raped at some point in their life, or that 1 in 4 women will experience domestic violence in the United States? Did you know that there is an organization, based here in DC, that’s working every day to create change in these areas, and to fight for racial justice and gender justice across the country? 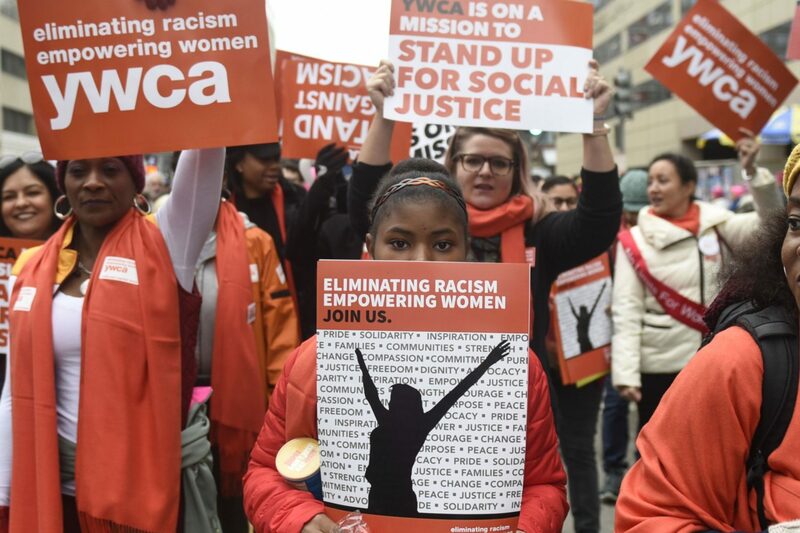 As one of the oldest and largest women’s organizations in the country, YWCA’s mission to eliminate racism and empower women is not only timeless, but continues to be relevant and pressing. YWCA works on the ground across the country and on the Hill to improve women’s lives and create change in three key areas: racial justice and civil rights, empowerment and economic advancement, and health and safety. This dynamic organization serves more than 2 million women, girls, and their families across the country every year and works to improve their lives in the face of systemic obstacles and barriers. This Giving Tuesday, consider donating to YWCA. Your support will help fund the vital work they do to improve the lives of women, girls, and their families in the Washington, D.C. area, and across the country. YWCA’s work isn’t possible without its network of employees, partners, leaders, and volunteers, and with support from the community and everyday people. Meet two such women whose work helps women across our region. Linda once entered the doors of YWCA Central Virginia as a survivor of domestic violence. But now, she enters through those doors as its Director of Programs, working to help other fellow survivors and their families. At the Central Virginia’s Domestic Violence Prevention Center, Linda oversees a range of services that help survivors of domestic violence navigate the court system and access the resources and support they need to begin to rebuild their lives. YWCA Central Virginia, as well as many YWCAs across the country, help survivors make appointments and look for safe, permanent housing and work, and provides caseworkers, support groups, court advocacy, and parenting and children’s programming, as well as emergency shelter and food, housing, and clothing for women and children in crisis. In addition, and as part of the important aim of working towards the reduction and elimination of domestic violence, advocates and counselors also educate the community on dating violence and prevention. 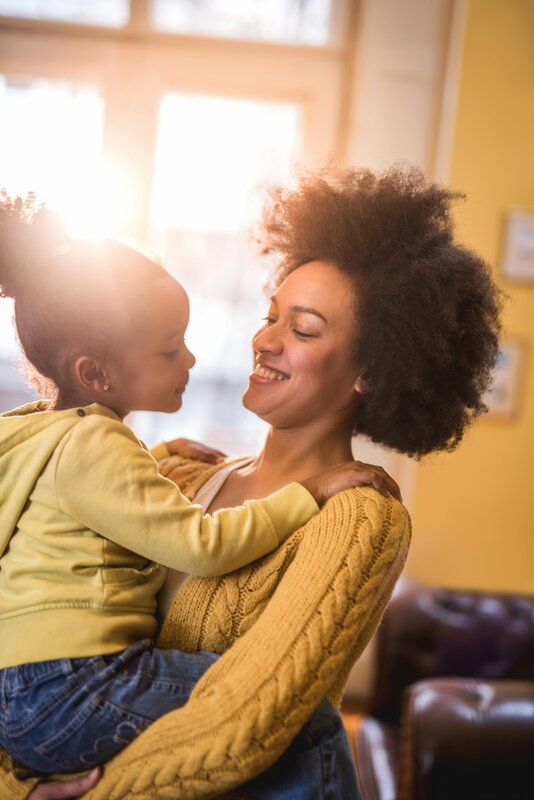 As the country’s largest network of domestic violence service providers, YWCA knows that, while domestic violence impacts the lives of women and families across the United States, at all ages, income levels, racial and ethnic communities, and sexual orientations and religious affiliations, not all violence is acknowledged or responded to equally. Some victims go unrecognized altogether. Many of the experiences of survivors cut across racial, ethnic, and class lines, but some survivors, such as women of color and other people with marginalized identities, face increased difficulty and higher barriers to getting the resources and help they need to be safe. These sobering facts make Linda and YWCA’s work even more essential. They want to make sure anyone who needs help can get it and be supported and empowered to lead healthy, safe, full lives. Today and every day, YWCA is working to help women, girls, and families get and stay safe. Their commitment to supporting survivors and reducing violence against women and girls is unwavering. The organization helped to pass the landmark Violence Against Women Act in 1990 and actively works with lawmakers and policymakers to improve and expand legislation protecting women and their families, and reducing and one day hopefully eventually eliminating violence against women and girls. Learn more about YWCA Central Virginia’s domestic violence services, as well as other programs, here. If you, or someone you know, is being abused in the Virginia region, call (434) 528-1041 or 1-888-528-1041 or for more information you can email the YWCA of Central Virginia for help. For anywhere in the country, call the National Domestic Violence Hotline at 1-800-799-7233 or 1-800-787-3224 (TTY). Coming off an intense commitment to another volunteer organization, Rebecca Helberg was burned out. She’d always wanted to volunteer for a women’s-based organization and had started to do career development and job counseling work in her free time. She was talking with a friend who is involved with the YWCA, who shared with her findings from a report she read: According to a 2017 report by the Closing the Women’s Wealth Gap initiative, single Black women and Latina women have a median wealth of $200 and $100 respectively – compared to a $15,640 median wealth for single White women. “I am a white woman and I feel a lot of responsibility and passion towards eliminating racism and breaking down systems that I know people like me benefit from,” Rebecca says. 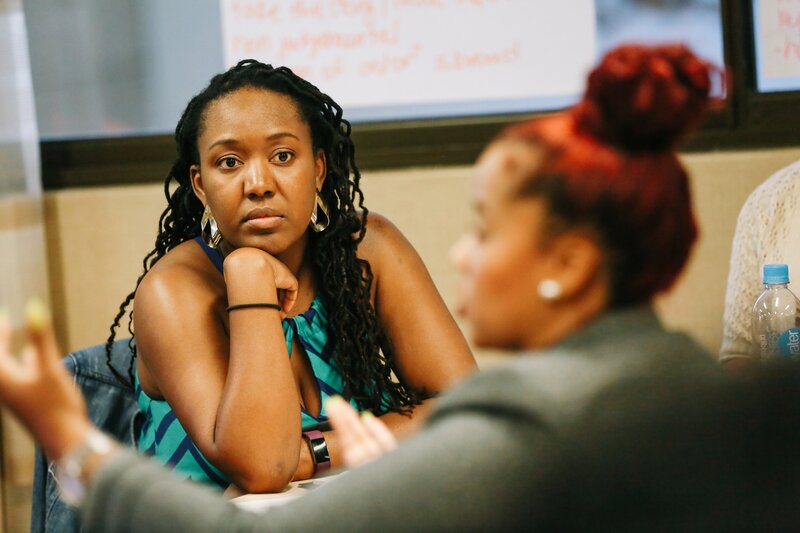 When she learned about the YWCA’s Young Women’s Leadership Council, a program for women ages 21-35 that helps young women in DC achieve their personal and professional dreams, she knew she had to become involved. The council works with young women in Washington to provide job training and development, community programming and service, fundraising events, and leadership development opportunities. This year, Rebecca helped plan the Young Women’s Leadership Summit, a yearly event that helps millennial women manage their money. This year’s financial literacy workshops consisted of small groups of panel speakers that educated women on topics that included home buying, investing, budgeting, entrepreneurship, and paying down debt. The summit focuses on financial education through a racial and gender lens, with consideration to the additional obstacles that women-identifying and people of color face in regard to finances. This program aimed at young women’s financial literacy empowerment is part of YWCA’s mission in action. As part of their work fighting for empowerment and economic advancement, YWCA has long championed for critical issues such as paid leave and pay equity, including the 2009 Lily Ledbetter Fair Pay Restoration Act, a law that makes it easier for women to file wage discrimination lawsuits against their employers. Feedback was positive and Rebecca is eager to help again next year. “It is amazing that women are able to empower other women and this inspires me to keep going on my journey to grow, learn, encourage, and empower other women,” Rebecca reads from an attendee’s feedback form. “That’s so great,” she says. 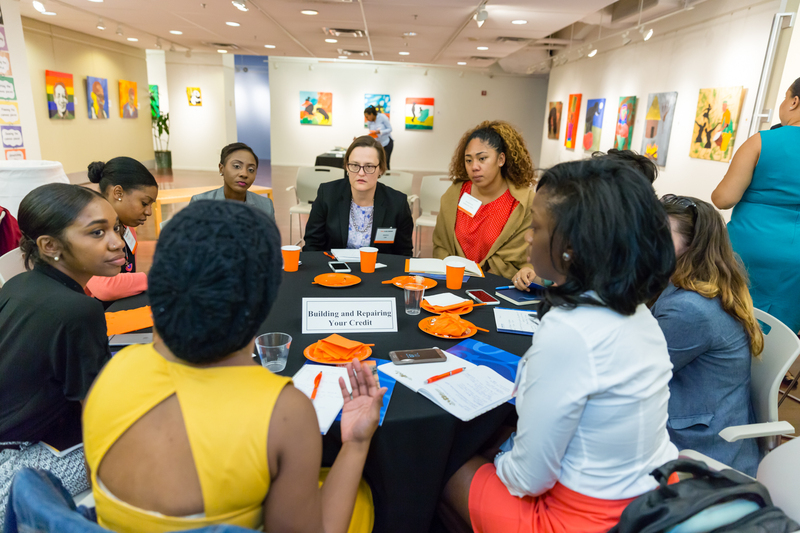 Learn more about the YWCA National Capital Area’s Young Women’s Leadership here. Give thanks this holiday season and start making an impact now helping women, girls, and families. Visit YWCA’s website to learn how to donate your time and money, and to support their mission to eliminate racism and empower women.